Sometimes even if an image is not 100% correct from a technical perspective, it can still capture the essence of your subject’s character. When such a thing occurs, it makes an emotional connection and brings the image to life and meaning in the eyes of those who behold it, knowing the subject personally. The above image is such an example. 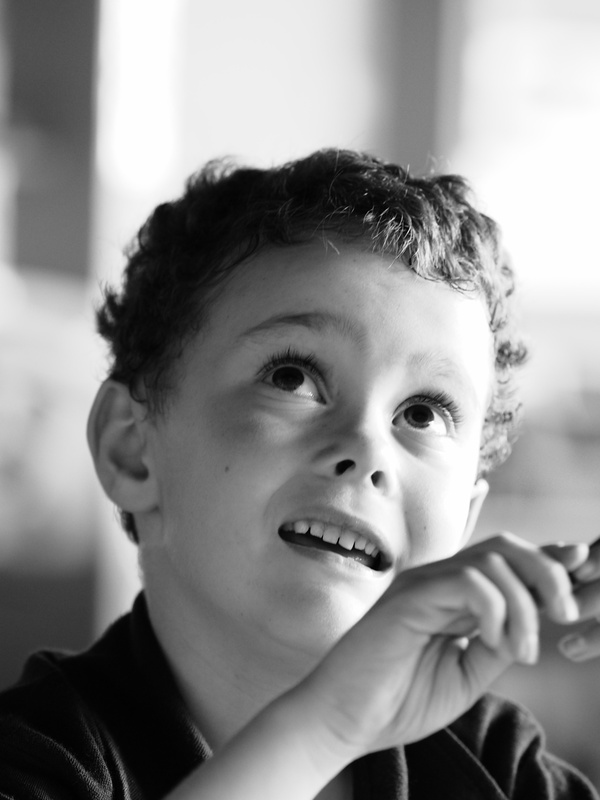 Having a wildly creative imagination, this boy – taking a break from his school work for just a moment – looks up, almost as if he is looking into his own mind to escape the mundane task at had, if just for a minute. While the image may lack precise focus on the eyes and the superior sharpness that some demand, it captures the essence of this child and his character to my mind.